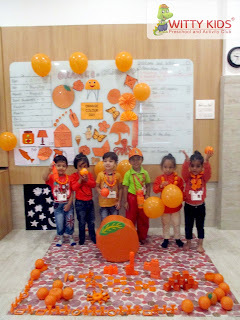 Colours are the smiles of the nature, so is the colour Orange. Orange is a dynamic colour that stimulates imagination and creativity. 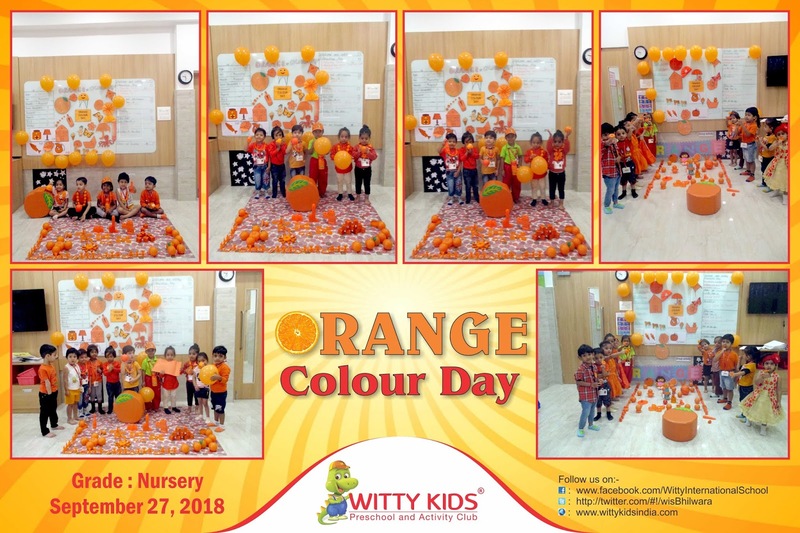 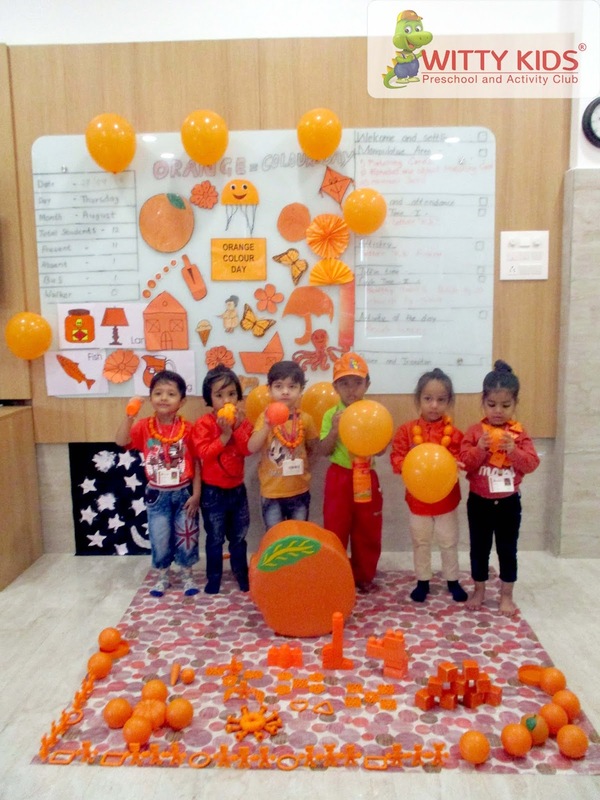 On Thursday, September 27, 2018, Orange Colour Day was celebrated at Witty KIds, R.C. Vyas colony, Bhilwara with great zeal and zest. 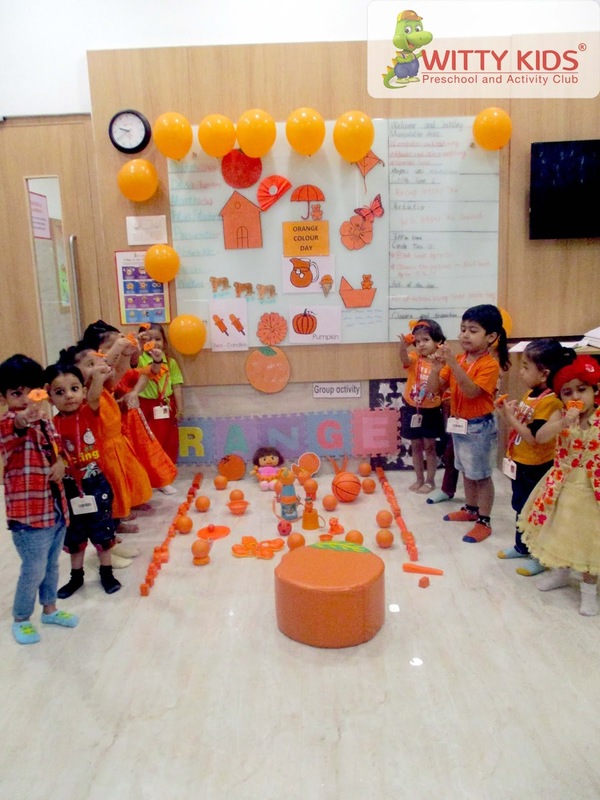 The classrooms were beautifully decorated with orange coloured objects, and balloons. The children of Nursery did many classroom activities using the colour orange as a theme and learnt interesting facts about it. 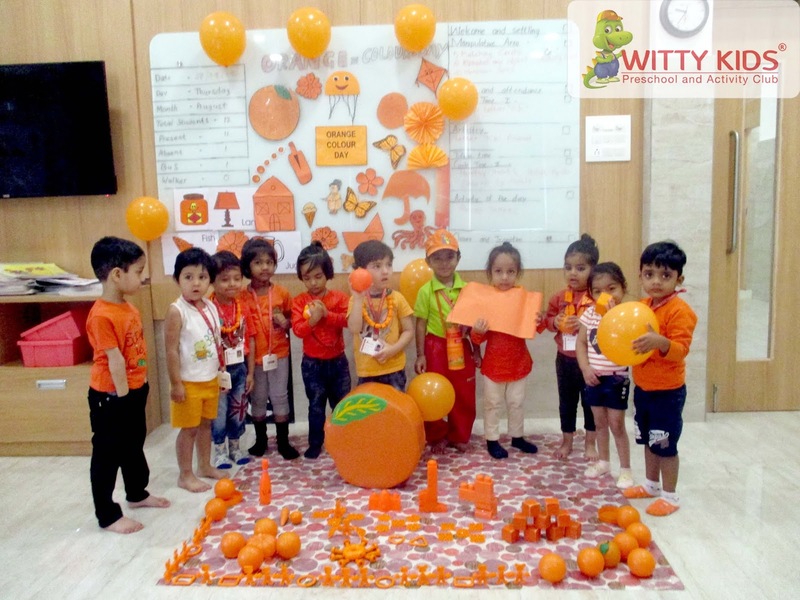 Our little Saplings were dressed in shades of vibrant orange colour, shining bright. The blooming birds were asked to bring orange coloured objects from their home. 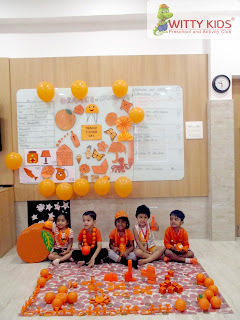 They brought many objects like orange ball, orange toys and many other orange coloured things to show to their friends in the class. 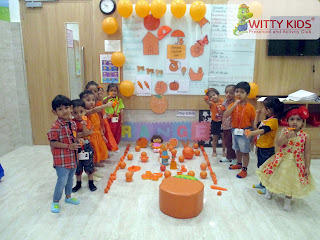 The teachers collected the objects from the children and displayed them to tell the names of the objects to make the children more acquainted with the colour as well as its first letter sound 'O'.